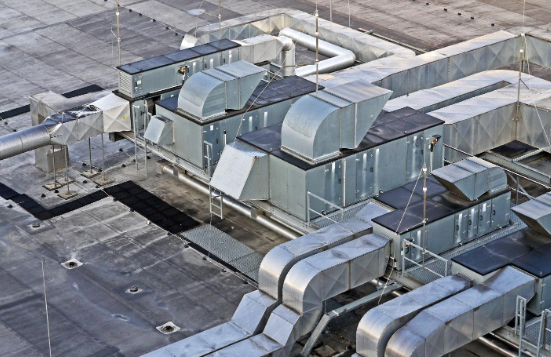 Technically speaking elevation means getting a clear and impressive visual picture of upcoming buildings, furniture, rooms or an object. 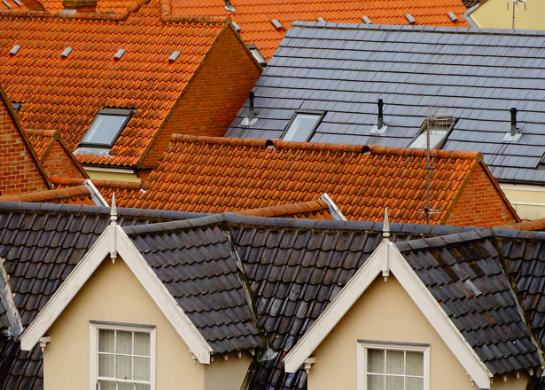 Elevations are basically divided into four parts; front elevation, back elevation, right elevation and left elevation . 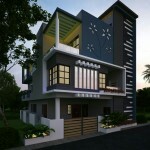 Elevations speak all about the upcoming projects, their architectural construction, design, material, space planning, decors etc. And front elevation is like getting a live picture of your would be home, office etc. months ago even before the work is started. It makes clients very easy to understand about the design presentation and gives a clear idea of every details of the building. 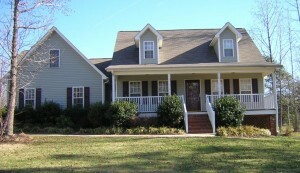 Front elevation shows what you would see if you looked straight at the building from the outside. 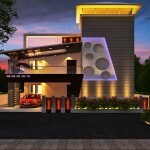 It is showcase of the exterior part of the beautiful house or a formal classy office. It gives us the pleasure to get introduced to the well-planned and well-designed landscaping, its visual impressions, placement of each and every exterior elements and design. It is like giving yourself a warm welcome before you enter your home. If the front elevation of your house is impressive and effective it automatically invites your friends and relatives to be in and spend some great moments inside. 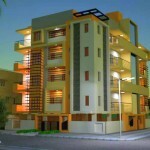 It provides full frontal picture of your home sweet home. 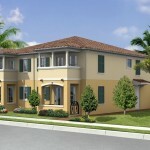 Detailing’s about the placement of doors and windows in the overall building. If anything remains incomplete or untouched you may figure it out and accomplish the job with great designing and work. Make your front elevation more impressive and beautiful by just adding an awesome color combination to the exteriors of your home. Add in quality accessories, few hanging pots, small rug or a welcome carpet and few chairs to give a complete look to the exteriors and the front elevation of your building. 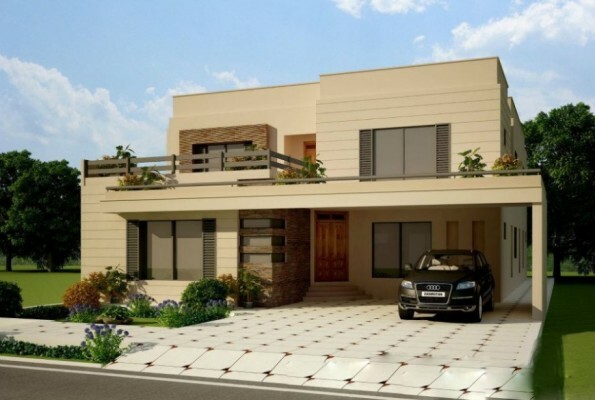 As we know that front elevation provides clear picture of roofing, garage, garden, front courtyard, outer courtyard with landscape designing, entrance gate, main door of the house and windows of several rooms. It is really important to get all these things well connected with the interiors of the home as well. 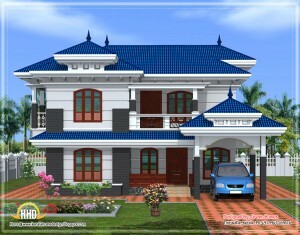 Front elevation is a key to project your ideas in very well appreciating manner. If your front elevation plays a successful role to impress your clients and other people then you have the secret tool to create amazing designs for the interiors and spaces. 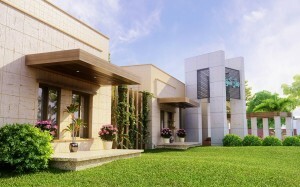 But a front elevation without rendering effects, illumination effects and decor effects is incomplete. 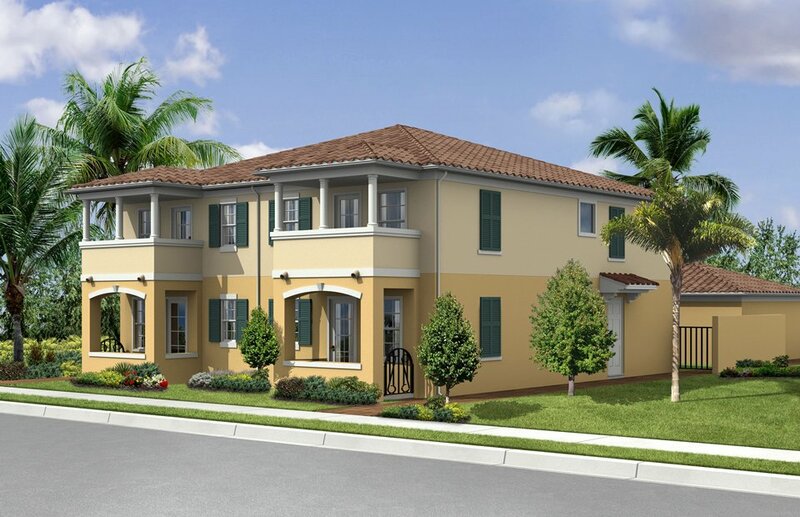 Accomplish your front elevation project with breath taking and realistic rendering effects. It gives an original sense of touch to the newly created ideas and elevations. Neat and effective rendering plays a vital role to make your front elevation look good and original. Play with colors, play with different textures, to create that real picture of front elevations, exterior wall colors, garden area, doors and windows effects etc. To put the cherry on the top do not forget to use lighting tools. Windows with light getting filtered outside adds a real charm to the exterior or front elevation. 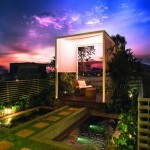 Garden and landscape plans with exterior lighting on gives a real feel of outdoor settings and pleasure. So, just use some of the simple tools to create your front elevation and get your client well impressed and happy. 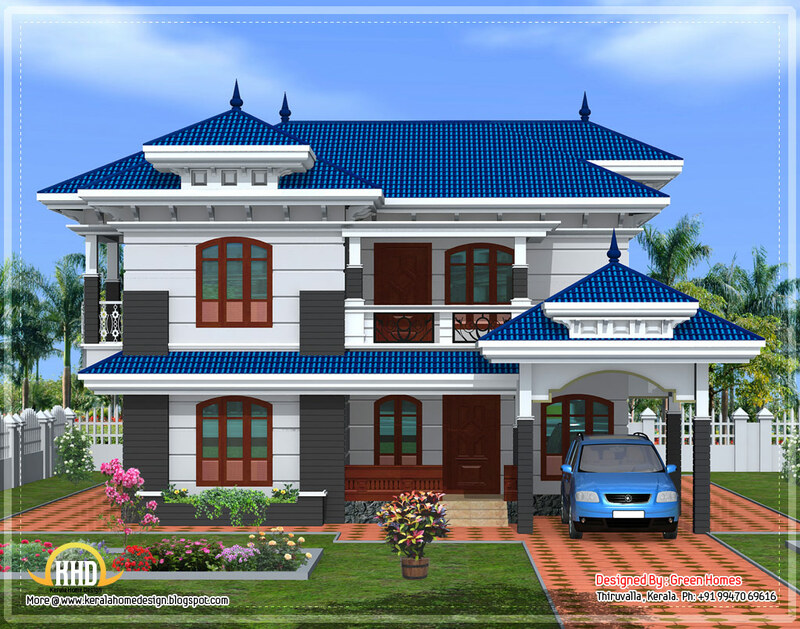 Front elevation is the secret tool to success in the world of architecture and designing. 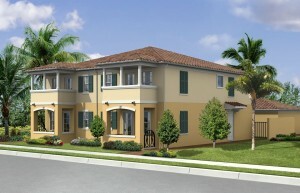 Make home sweet home more beautiful and elegant with breath taking fabrication of frontal elevation of the building.